Vandenberg Air Force Base, California. July 2, 2014 – United Launch Alliance successfully launched the Orbiting Carbon Observatory-2 (OCO-2) payload for NASA today. The ULA Delta II rocket lifted off from Space Launch Complex-2 at 2:56 a.m. PDT on this morning. 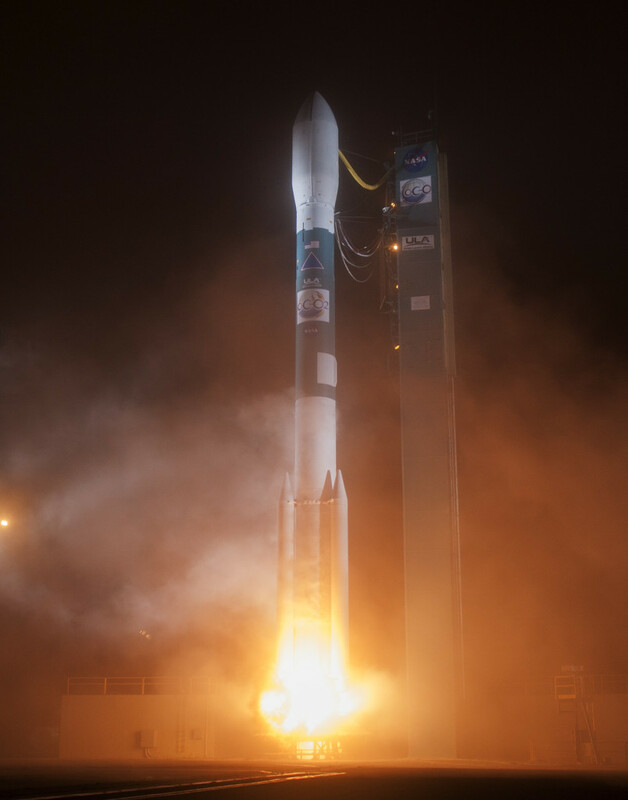 This launch marks the 51st Delta II mission for NASA and Delta II’s return to flight as the first of two planned Delta II launches this year, and also the seventh ULA launch of 2014 and the 84th since the company was formed. The OCO-2 mission was launched aboard a Delta II 7320 configuration vehicle featuring a ULA first stage booster powered by an Aerojet Rocketdyne RS-27A main engine and three Alliant Techsystems (ATK) strap-on solid rocket motors. An Aerojet Rockedyne AJ10-118K engine powered the second stage. The payload was encased by a 10-foot-diameter composite payload fairing. Orbiting Carbon Observatory-2 (OCO-2) will be NASA’s first dedicated Earth remote sensing satellite to study atmospheric carbon dioxide (CO2) from space. OCO-2 will be collecting space-based global measurements of atmospheric CO2 with the precision, resolution, and coverage needed to characterize sources and sinks on regional scales. OCO-2 will also be able to quantify CO2 variability over the seasonal cycles year after year. ULA’s next launch is the Delta IV AFSPC-4 mission for the Air Force, scheduled for July 23 from Space Launch Complex-37 from Cape Canaveral Air Force Station, Florida.